The choice between marble and granite depends on the aesthetic affects you want to achieve and how much use or abuse the stone will be subjected to. Although both are natural stones and quarried from the earth, granite and marble are very different from each other. The greatest difference between granite and marbles lies in their porosity, softness, and durability. Marble’s beauty will last for generations and is versatile enough for use throughout the home. Softer and more porous than granite, marble is more suitable for less-trafficked, formal areas. 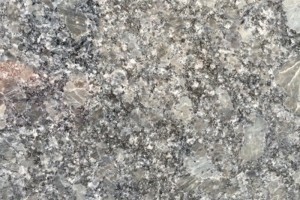 Granite is a much more durable and functional stone than marble. Granite’s crystalline structure is far more resistant to abrasions, staining and discoloration than most marbles. Etching: This occurs when liquids such as alcohol or vinegar hit the surface, calcite crystals in the stone react to this and can start erosion immediately. Porous Stone: With the product being porous, it can soak up liquids. Therefore, sealer is essential to clog up these pores and counter the effect the problem. Sealing: Though sealers can help clog up the countertops, it is nearly impossible to clog up every pore, regardless of the high quality of sealer. Easy to remove stains: With a polished finished, marble is difficult to stain, due to its vast density. Below the surface: When sealer is applied it actually lays a protective film just beneath the surface, preventing deep stains, though, leaving the top layer vulnerable. Granite and marble will stain quickly and easily, even if the liquid is just water. You can avoid stains by cleaning up any spills immediately. When you do have to clean a spill, be sure to use a blotting motion with your cleaning cloth and not a rubbing or wiping one, just like you would if you were cleaning your carpet or clothing. Rubbing the spot can actually make the stain far worse and spread the substance. This entry was posted on Friday, July 14th, 2017 at 3:56 pm. Both comments and pings are currently closed.